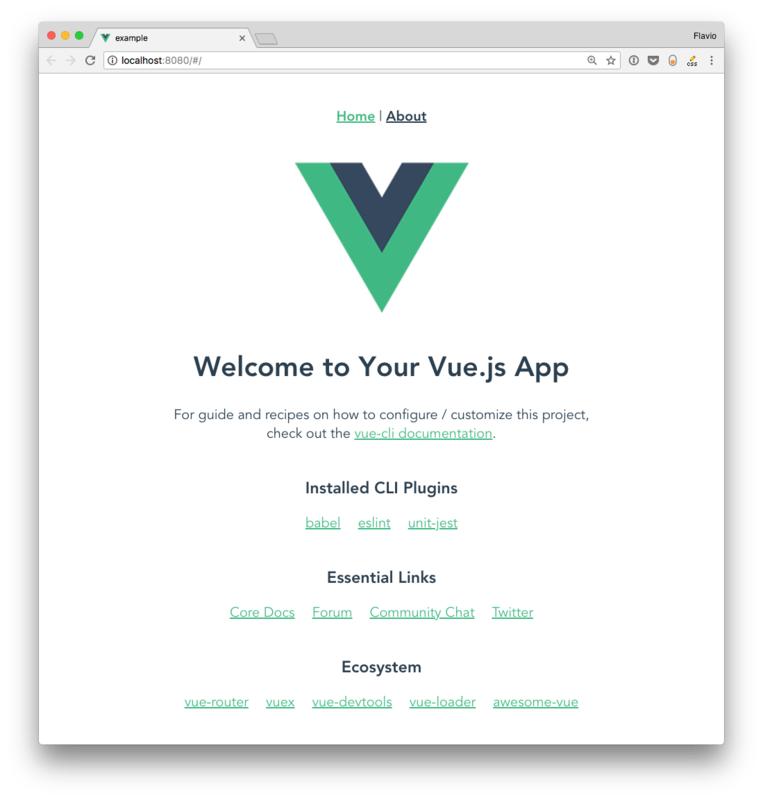 Vue is a very impressive project, and in addition to the core of the framework, it maintains a lot of utilities that make a Vue programmer's life easier. One of them is the Vue CLI. 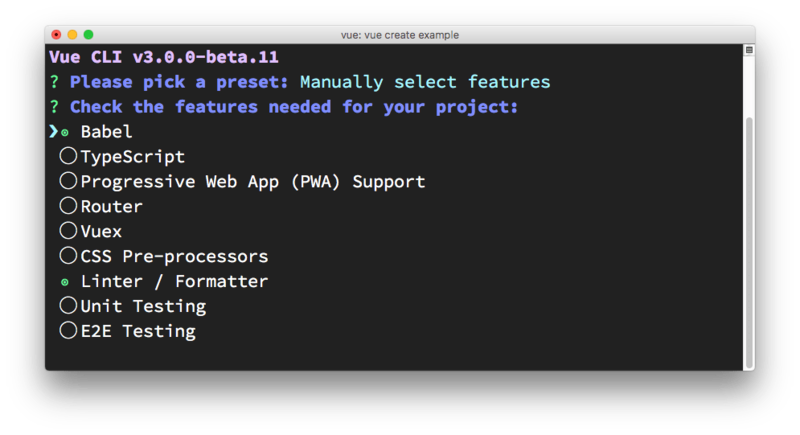 What does the Vue CLI provide? 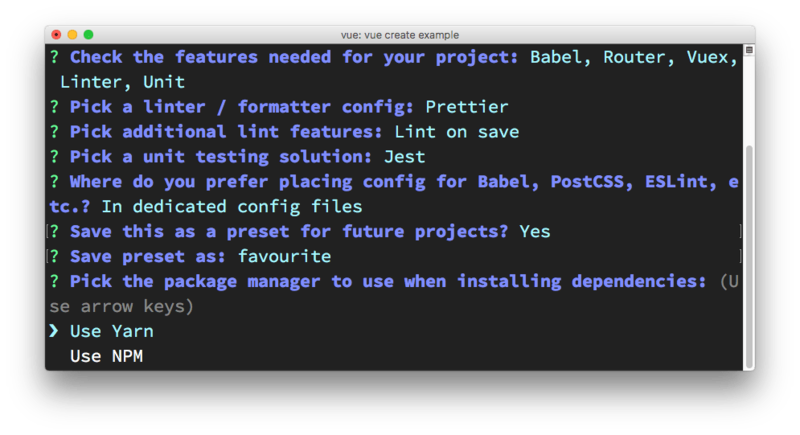 Vue is a very impressive project, and in addition to the core of the framework, it maintains a lot of utilities that make a Vue programmer’s life easier. One of them is the Vue CLI. CLI stands for Command Line Interface. Note: There is a huge rework of the CLI going on right now, going from version 2 to 3. While not yet stable, I will describe version 3 because it’s a huge improvement over version 2, and quite different. 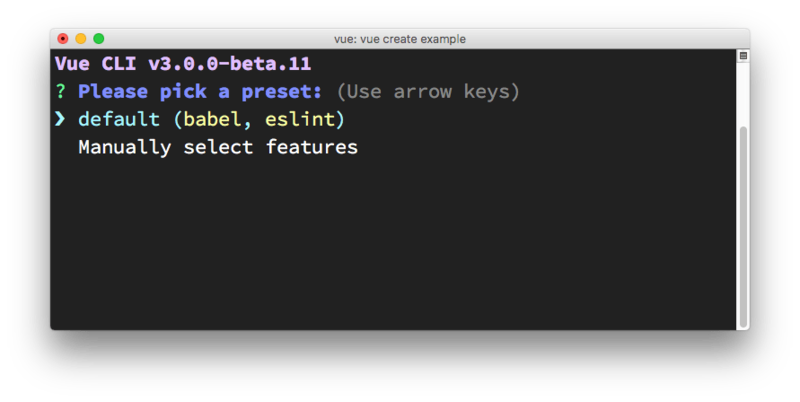 Once you do so, you can invoke the vue command. 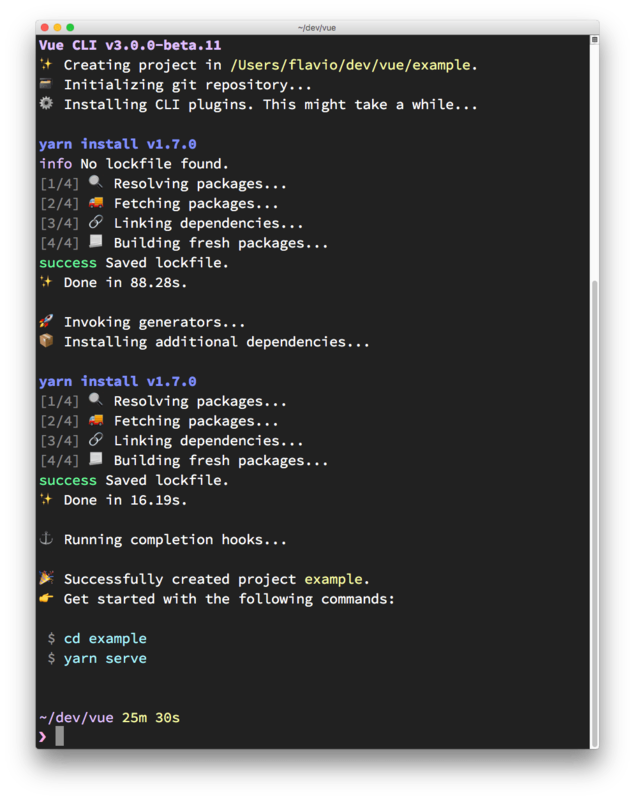 The CLI is essential for rapid Vue.js development. Its main goal is to make sure all the tools you need are working along, to perform what you need, and abstracts away all the nitty-gritty configuration details that using each tool in isolation would require. It can perform an initial project setup and scaffolding. 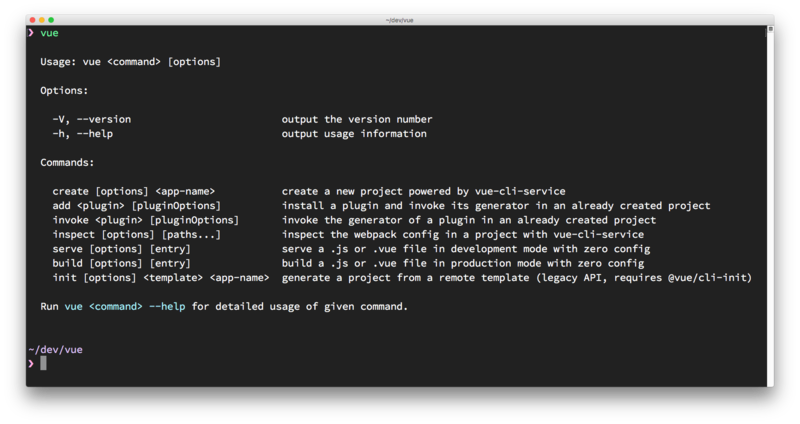 It’s a flexible tool: once you create a project with the CLI, you can go and tweak the configuration, without having to eject your application (like you’d do with create-react-app). You can configure anything and still be able to upgrade with ease. 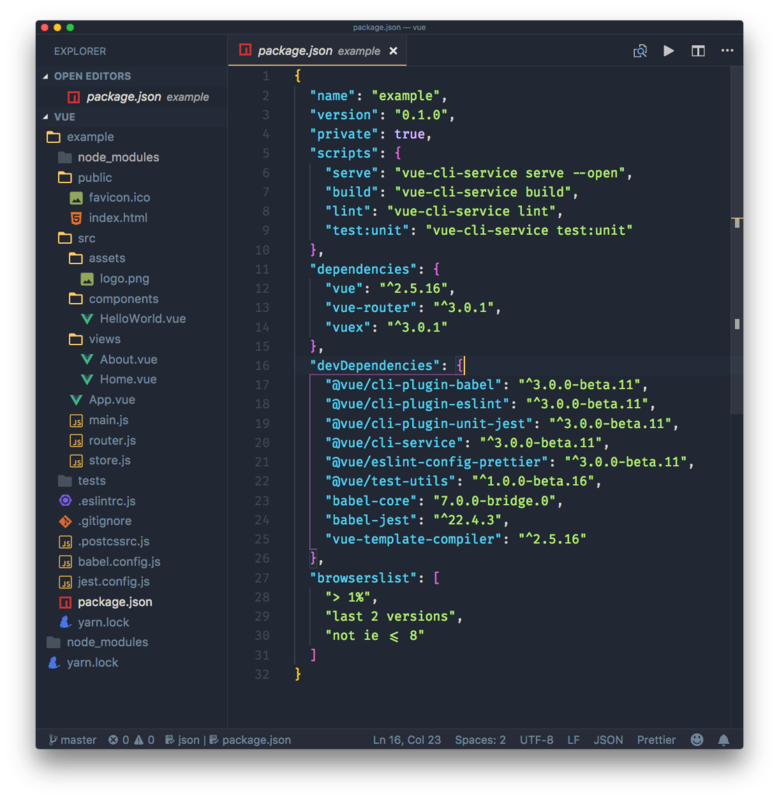 After you create and configure the app, it acts as a runtime dependency tool, built on top of webpack. 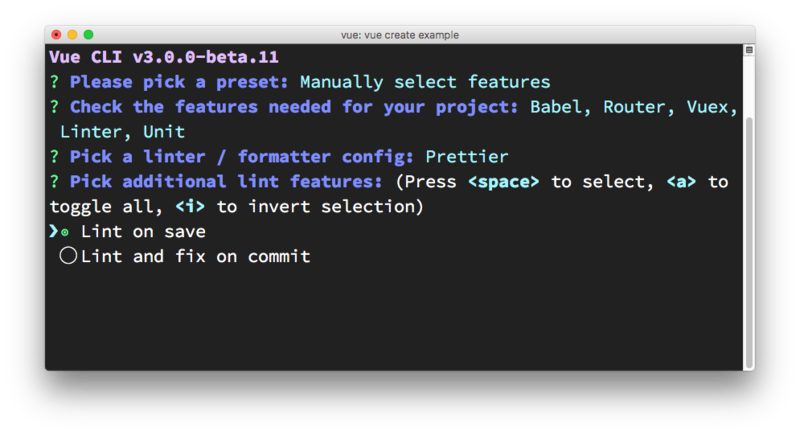 The first encounter with the CLI is when creating a new Vue project. Next thing is choosing how to apply linting. I choose lint on save. Next up: testing. I picked testing, and Vue CLI offers me to choose between the two most popular solutions: Mocha + Chai vs Jest. Vue CLI asks me where to put all the configuration: if in the package.json file, or in dedicated configuration files, one for each tool. I chose the latter. 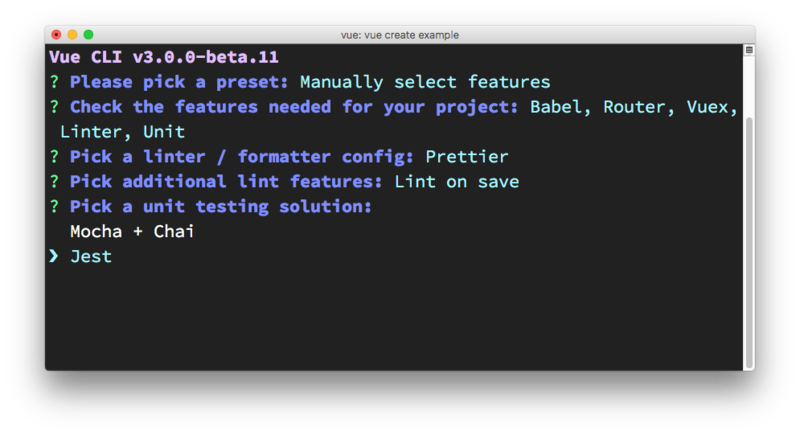 I will describe the sample application generated by Vue CLI in a separate tutorial. This is pretty cool. How many times you dive in and change things, only to realize when you want to commit the result, that you didn’t commit the initial state? As you can see from reading the configuration, a preset is basically a collection of plugins, with some optional configuration. this is useful if a new version has a breaking change or a bug, and you need to wait a little bit before using it. 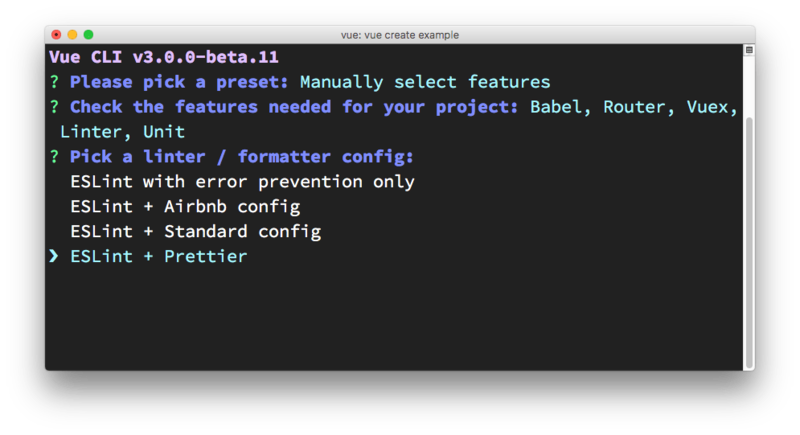 Until now I’ve explained how to use the Vue CLI to create a new project from scratch, with all the bells & whistles. 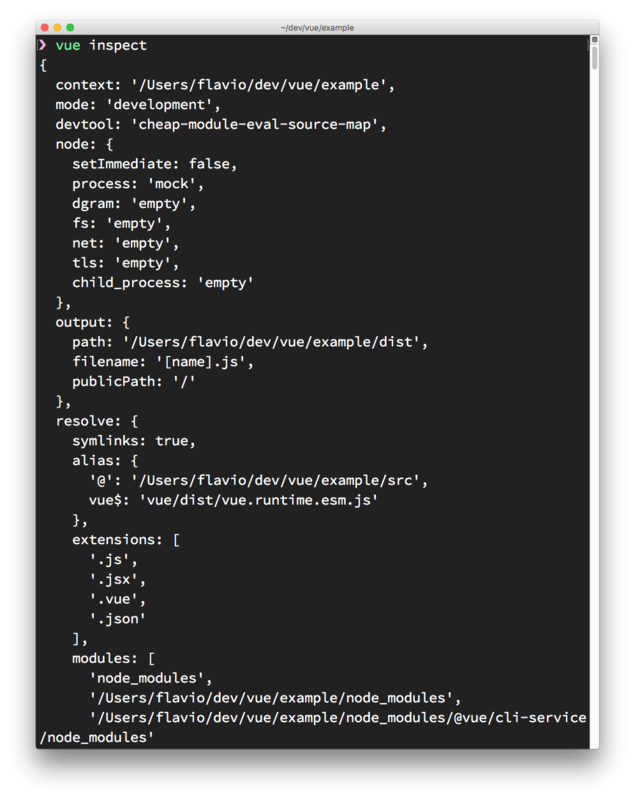 But for really quick prototyping, you can create a really simple Vue application, even one that’s self-contained in a single .vue file, and serve that, without having to download all the dependencies in the node_modules folder. Since this uses global dependencies, it’s not an optimal approach for anything more than demonstration or quick testing. Running vue build will prepare the project for deployment in dist/, and generate all the corresponding code, also for vendor dependencies.